The Greeks like to cook….alot! And some of the best known dishes are the pastries. Galactoboureko (custard), Kourabiedes (powdered sugar covered cookie), Koulourakia (coffee cookie) and of course Baklava (no explanation needed). 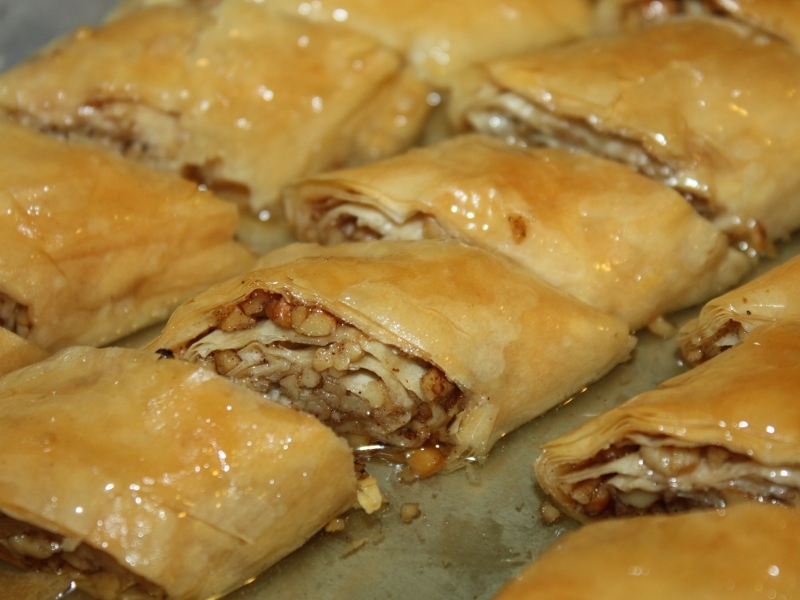 Every holiday the women are in the kitchen for several hours painting butter on filo making this wonderful dessert. Personally I think it’s a lot of work and really hard to get correct especially if you don’t have the right pan and/or filo. So as we approached another holiday I decided to go looking for an easier way to provide the classic baklava experience. Heat oven to 325. Spray large cookie sheet with non-stick spray. Unroll filo and cover with a clean dish towel. 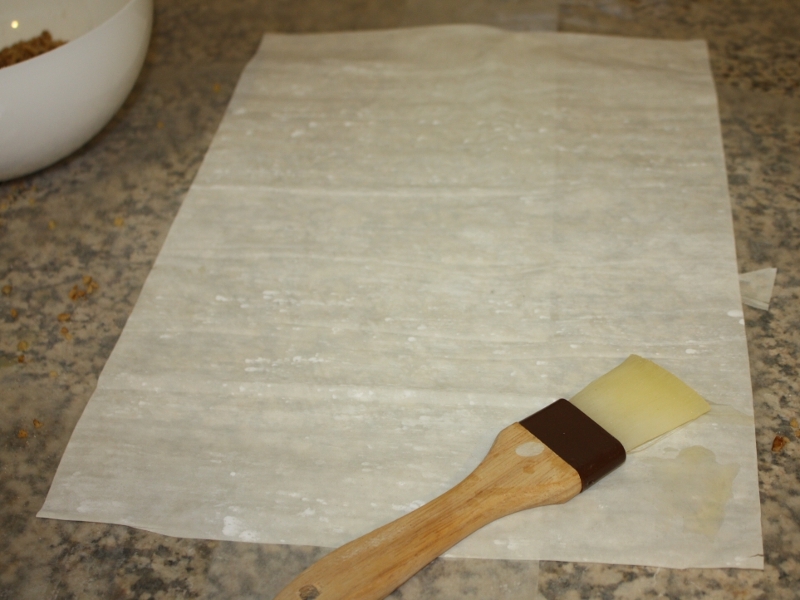 If the filo starts to get dry, cover with damp paper towel. Prepare nut mixture by combining nuts, sugar, cinnamon, cloves and vanilla. Mix well. Cover your work area with waxed paper. Have melted butter, pastry brush, nut mixture and cookie sheet within reach. 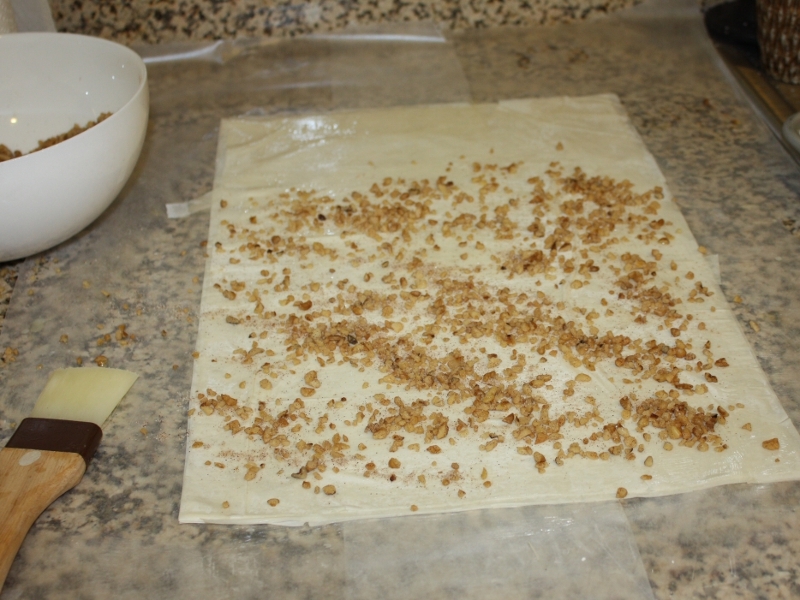 Start with a single filo sheet and butter liberally. Only use the top translucent part of the butter. Continue with two more filo sheets. 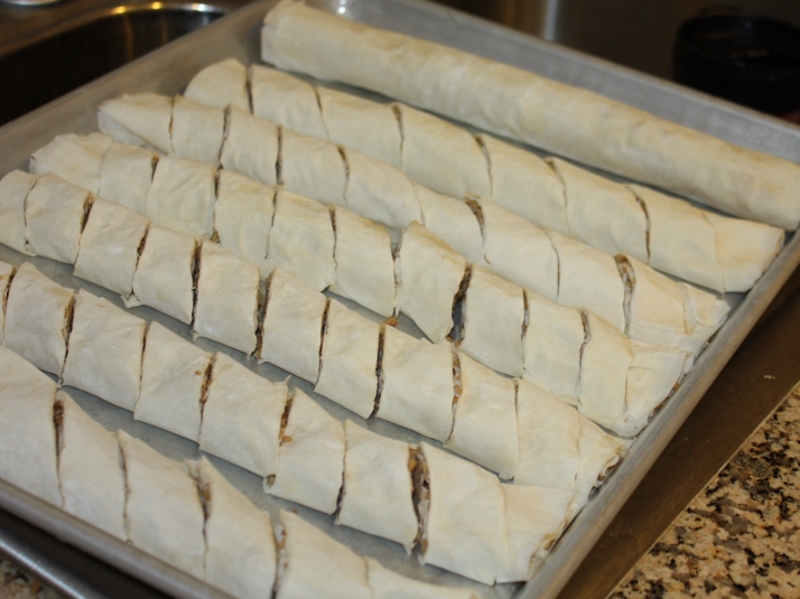 Spoon between ¼ – ½ cup of the nut mixture over 2/3s of the stack of 3 buttered filo sheets. Beginning with the filled edge, roll in a jelly roll fashion to make a long roll. 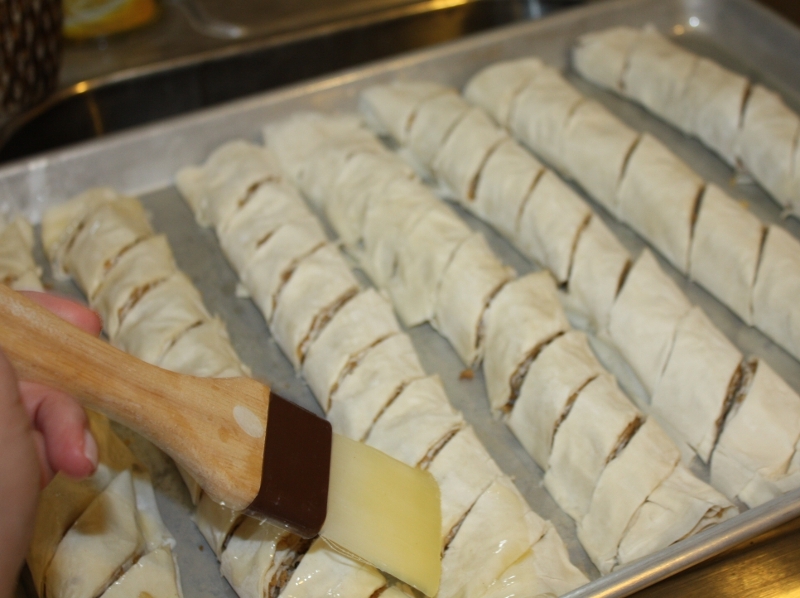 Move rolled filo onto the greased cookie sheet. 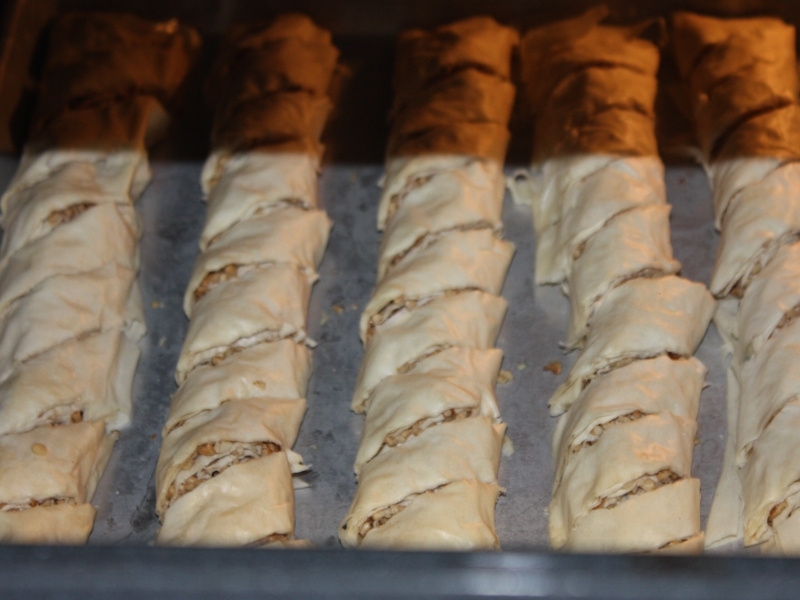 Cut each roll in 1 – 1 ½” diagonal slices, leaving the roll intact. Brush tops with leftover butter. 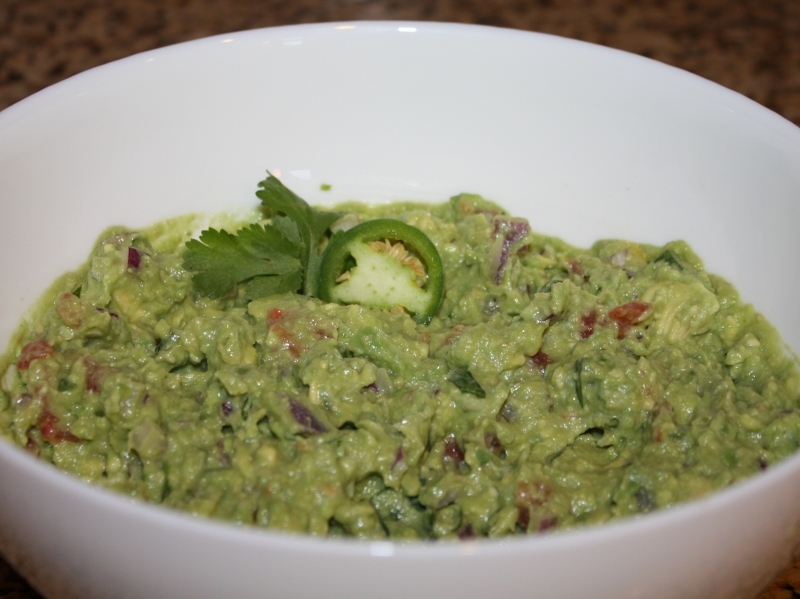 Bake at 325-350 for 25-30 minutes. Make sure the tops are golden brown before removing from the oven. Let cool while making syrup. To make the syrup, combine sugar, water and lemon juice. Boil for 10 minutes then slowly add honey. Simmer 5 minutes. 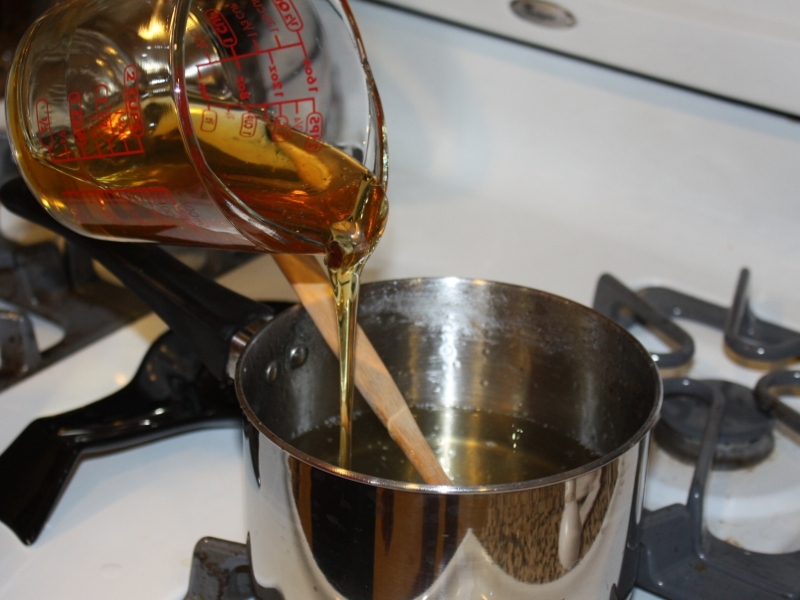 Allow the syrup to cool for 10 minutes before pouring over cooled rolls. Continue spooning over rolls until glazed looking. Recipe says it makes 60, mine made 50. Enjoy! Can eat immediately but tastes better after several hours of soaking. 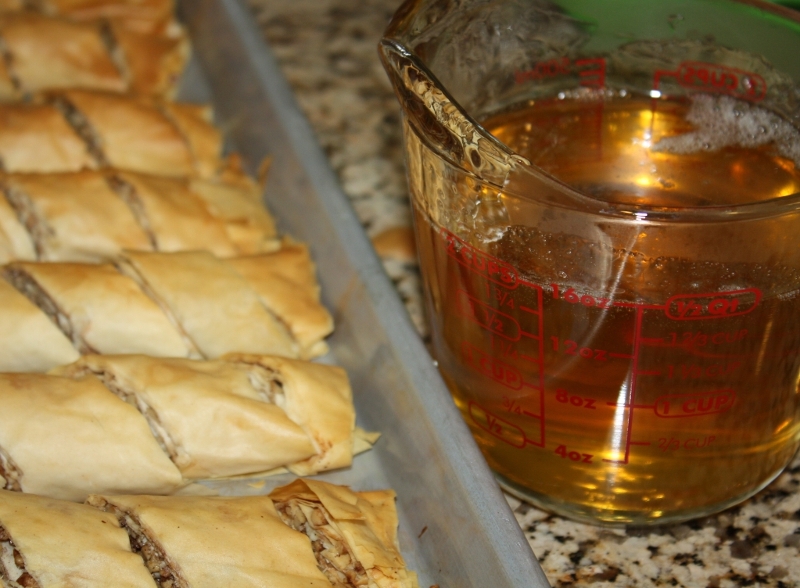 Wow, what a great way of making baklava. I have made it the traditional way and yes, a very painstaking, time consuming process–well worth it, but this looks like a good shortcut!